The basic design gives all the elementary components the opportunity to flourish. For example, when illuminated, the iconic round shape resembles a pearl. Thanks to its even contours, Bolleke creates uniform light in any space. Light is equally distributed throughout the entire lamp. A technology specially designed by Fatboy. The soft rubber silicon buttons are subtly integrated into the design. They match the colour of the loop, which was inspired by the hair elastics and sailing binder smart systems. You can tie Bolleke as easily as your hair or the sail on a yacht. 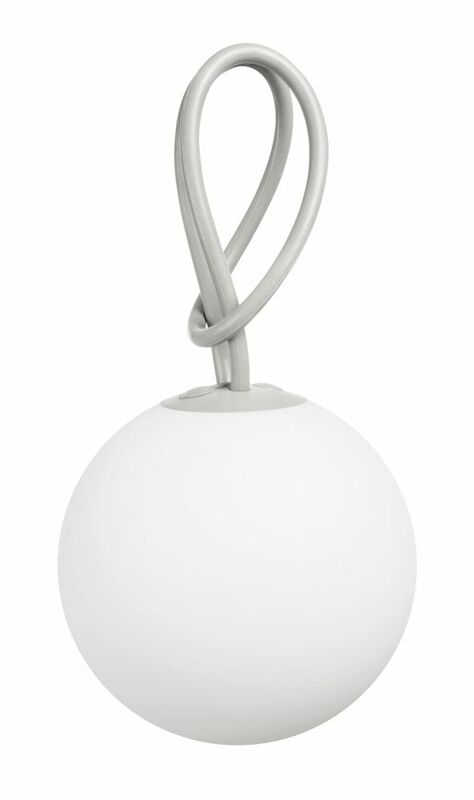 With three different light settings, Bolleke stands out against any backdrop. This makes Bolleke a stylish and smart light that is at home anywhere. Use a soft cloth, lukewarm water and liquid soap. Do not use cleaning agents containing alcohol, ammonia, benzene or abrasive substances. Never open the lamp when cleaning.